Have you been looking for a high-end luxury SUV that can satisfy your most stringent demands in terms of comfort and style while also providing plenty of confident on- and off-road performance capabilities? If so, there surely a model in the new Mercedes-Benz SUV lineup that will catch your eye. From the efficient and practical Mercedes-Benz GLA to the spacious Mercedes-Benz GLS, and robust off-road Mercedes-Benz G-Class, there’s something for everyone. Take a tour of the entire lineup here, and then check out the SUV of your choice at Mercedes-Benz of Newton in Newton, NJ. For the new model year, the 2018 Mercedes-Benz GLA receives a subtle redesign with a facelift in front and elegant new rear bumpers. This five-passenger compact SUV gives you sporty driving dynamics, available 4MATIC® all-wheel drive, and a standard turbocharged inline-four that helps save you money at the gas tank. There’s also an AMG® version of the GLA SUV, which gets fitted with a specially tuned version of the same engine to help it get 375 hp. No matter which model you choose, you’ll get standard features like mbrace® telematics, a Wi-Fi hotspot, Bluetooth®* phone and audio, and an 8-inch high-resolution central screen. Introduced for the 2016 model year, the Mercedes-Benz GLC returns for the 2018 model year as a benchmark of the midsize SUV segment. With seating for up to five, the GLC provides generous accommodations inside the cabin, including a max cargo capacity of 56.5 cubic feet. The base engine on this model is a turbocharged 2.0L inline-four that makes 241 hp and gets an EPA-estimated 24 mpg combined city/highway whether you pick rear- or all-wheel drive. You can also opt for an available AIR BODY CONTROL® suspension that can automatically raise and lower based on performance demands. Standard features include MB-Tex™ leatherette upholstery, mbrace® Connect smartphone app integration, and 40/20/40 split-folding rear seats. Step up to the next level of luxury inside the 2018 Mercedes-Benz GLE, a premium luxury SUV with generous seating arrangements for five and standard luxury finishes like Eucalyptus wood trim, premium interior lighting, and a Nappa leather-wrapped steering wheel with multiple functionalities. This five-passenger SUV also comes standard with an AGILITY CONTROL® suspension to provide more comfort and control. You’ll also have a variety of different powertrain options to choose from, including a 3.5L V6, a turbocharged 3.0L V6, a hybrid powertrain, and an AMG® turbocharged 5.5L V8. If you need more room for passengers and cargo in your SUV, the 2018 Mercedes-Benz GLS delivers with seating for up to seven across three rows of seats and a max cargo capacity of 93.8 cubic feet. 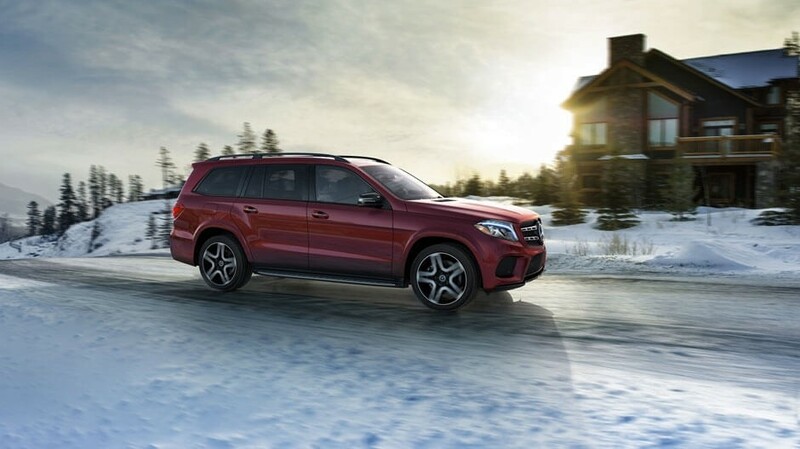 Offered with four different engine options–including a turbo-diesel V6, a turbocharged gas V6, a 4.6L V8 and an AMG® 5.5L V8–the GLS comes standard with 4MATIC® all-wheel drive and has a towing capacity of up to 7,500 pounds. Standard features resemble that found in much of the rest of the Mercedes-Benz SUV lineup, while available features include a 14-speaker Bang & Olufsen BeoSound™ sound system and a rear-seat entertainment system. If you’re looking to take your luxury SUV off the beaten path, the 2017 Mercedes-Benz G-Class is definitely the way to go. This truck-based SUV is based on a decades-old military vehicle, and it comes standard with a full-time four-wheel drive system and locking front, center, and rear differentials. The result is an SUV that can handle difficult terrain without compromising on the kinds of luxury features you insist upon in a premium SUV. Standard fare includes Nappa leather upholstery, heated and ventilated front seats, interior ambient lighting, and a full host of advanced infotainment features. Split-fold the rear seats and you’ll also have access to a max cargo volume of 79.5 cubic feet, more than enough room to handle big camping loads. Whether you already know which Mercedes-Benz SUV is right for you or you want to take a tour of the lineup in person to make the decision easier, you’re invited to come by Mercedes-Benz of Newton. At our dealership, you’ll find an impressive lineup and friendly, knowledgeable staff on hand to help you out. We’re open Monday through Saturday at Newton, NJ, and you’re free to contact us at (855) 873-4132 if you have any questions about the Mercedes-Benz SUV lineup or our dealership. 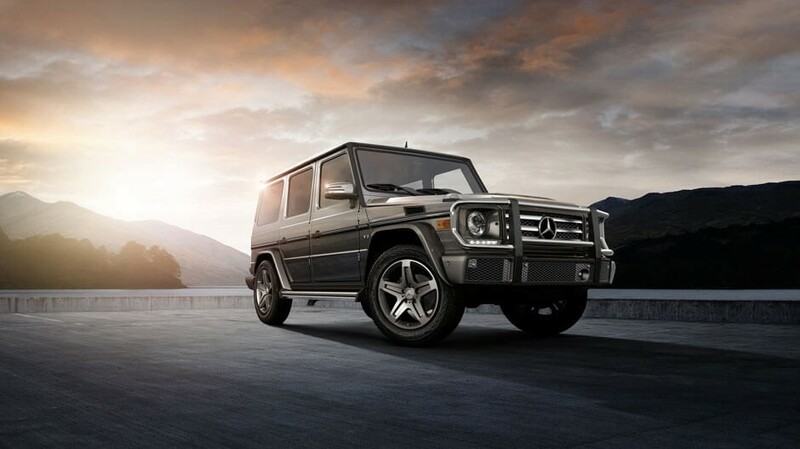 Be sure to explore the latest Mercedes-Benz prices to learn more! * Bluetooth® is a registered mark of Bluetooth® SIG, Inc.